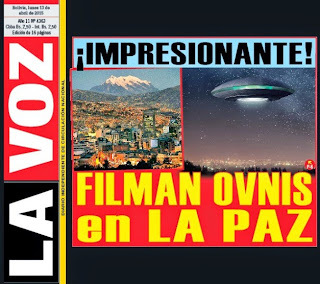 Inexplicata-The Journal of Hispanic Ufology: Bolivia: UFOs Over La Paz? 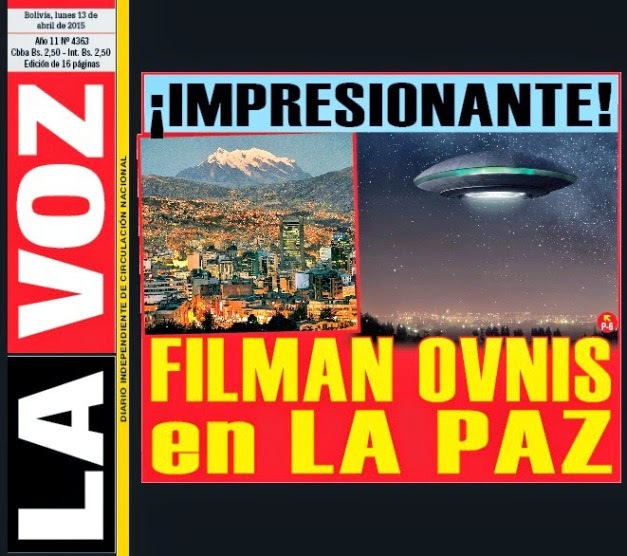 Bolivia: UFOs Over La Paz? Residents of the city of La Paz were startled by the presence of some strange lights At 19:30 hours on Sunday (04.12.15). For over half an hour, thousands of residents looked skyward to see some strange lights (not those of an airplane) that captured the public's attention. These are unidentified flying objects. The mystery and astonishment arose due to the fact that a first light appeared, lasted some five minutes, and then mysteriously vanished. It reappeared within a minutes, maintaining its intensity. Astonishment grew with the manifestation of two more lights that escorted the first. Half an hour after bewildering the public, these lights vanished from the skies of La Paz. "We were heading home when we noticed a strange light dominating the city's skies. At first it was only one, then it vanished, and it made us think of an airplane. But then it reappeared, and we found it strange because it stayed there for some 20 minutes and two more lights appeared after that," said citizens to the media. Johana [no surname given] noted that these were UFOS because the movement in the skies was odd, not related to an airplane and much less an artificial source of light. "It appeared and disappeared. It's very odd. They were UFOs," she affirmed. A family returning from a trip around 19:30 hours along the southern end of the city of La Paz witnessed a fixed light in the sky. 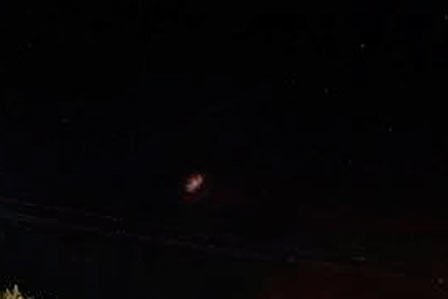 They thought it was an airplane, but seeing that it was motionless, and would disappear and reappear, they took out the cameras to record the scene and found - to their amazement - that two more lights were moving around the first. They contacted the press to establish the existence of the events and also alerted some neighbors.